AMESBURY, England — Britain’s interior minister accused Russia on Thursday of turning the U.K. into a “dumping grounds for poison,” and demanded an explanation on how two people were inadvertently poisoned with the same military-grade nerve agent used to attack a former Russian spy and his daughter in the same area four months ago. 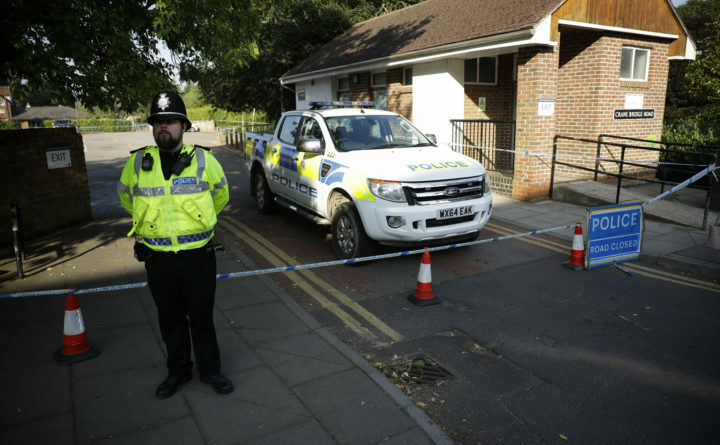 A man and woman in their 40s were in critical condition Thursday at a hospital in southwest England after they fell ill Saturday near Salisbury, a city not far from Britain’s iconic Stonehenge monument. Local police declared the recent poisoning a “major incident” Wednesday, four days after the couple — identified by friends as 44-year-old Dawn Sturgess and 45-year-old Charlie Rowley — were found at a residential building in Amesbury, eight miles from Salisbury. Associated Press writers Matt Dunham and Vladimir Isachenkov contributed to this report.